In low- and middle-income countries (LMICs), health systems have historically focused on the prevention and treatment of highly prevalent and frequently fatal acute infectious illnesses such as malaria, diarrhea, and respiratory infections. However, due to changes in health risks, LMIC are experiencing an increasing burden of chronic non-communicable diseases (NCDs) in addition to the existing problems of infectious diseases. This publication will help provide USAID health program managers, country counterparts (ministries of health, policy makers, educators, professional associations, health care managers, and providers), as well as other stakeholders with an understanding of how the introduction and expansion of pharmaceutical care can support the achievement of desired health outcomes for chronic diseases. 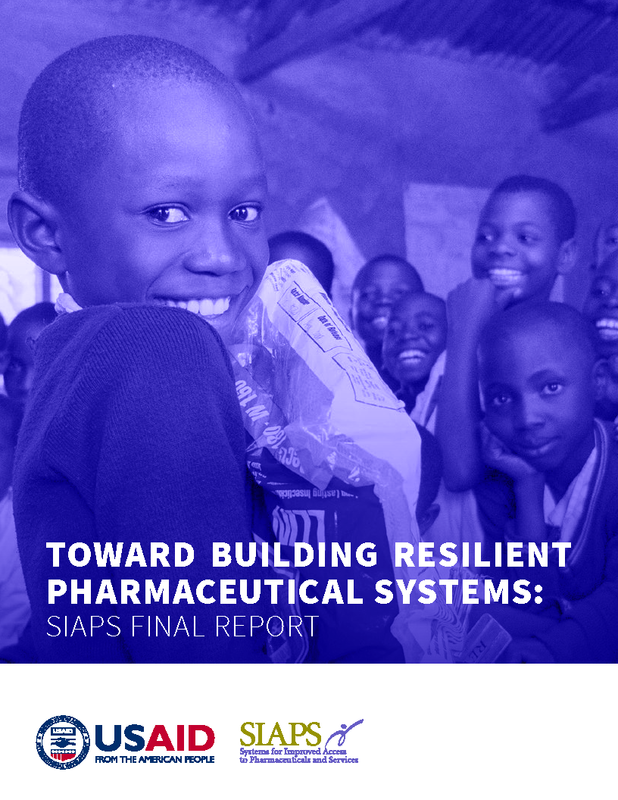 This publication explains the approach used by USAID-funded SIAPS to strengthen the practice of pharmaceutical care in resource-constrained settings through building institutional and individual capacity in pharmaceutical systems and identifying appropriate roles for staff who provide medicines or medication-related services at each level.